Tag nr. : 0910 yellowMicrochip: 900032001932856D.O.B. 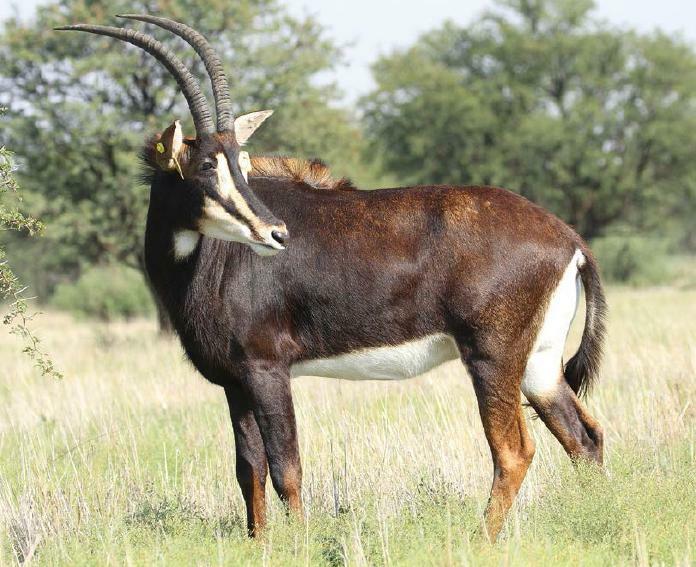 : 02-07-2011Bloodline: ZambianMeasured: 06-4-2016Horn length: L 28 2/8" R 28"Tip to tip: 11"Base: L 6 4/8" R 6 5/8"Rings: L 30 R 30Tips: L 9 7/8" R 10 1/8"Dam: L yellow 25 6/8" ZambianDescription: Option to stay by Lomba until certified pregnant.Available: Immediately.